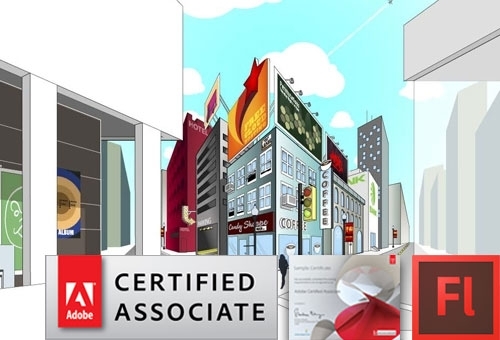 Adobe certification enables you to make amazing animated effects and web pages, learn from basic to advanced skills, learn to create first class web sites, customise existing movies and sound files, add interactivity to your webpages, and create your own professional portfolio. SKU: EC111504. Category: Web Design. Create your own professional portfolio using the latest Web Technologies. 24/7 Access: It provides access to your training online anytime. Just sign in using your user name, select the course you want to view, and go. Project Files: It enables to work along side by side with the presenter to see just how it’s done. Before you begin viewing your selected chapter, download the accompanying project work files so that you have them handy when the presenter references them. Interface Features: It sets your pace for learning. Our interface offers useful features such as fast forward, pause, bookmark a lesson, track your progress plus many more. Features such as these allow you to watch the tutorials and learn just what you want. New Content – Once you sign up with Online Training Course Academy, you get access to ALL of the new content added to your subscription library for FREE – for the entire length of your subscription. New content is added monthly, so the library of training available to you keeps you updated on latest informations. With Total Training for Adobe Dreamweaver CC, you’ll learn the process and workflow for building a web design layout. Discover the amazing tools within CC to help you easily create a website based on a Dreamweaver CC template layout. This course will teach you all you need to know to plan, define and create a website the right way the first time. You’ll learn to navigate & customize Dreamweaver for the most efficient workflow and to style and design your site from the ground up including how to use CSS Designer & style sheets, add audio, interactivity and media, and work with popular third party extensions. By the time a user is done watching this training series he or she will know and be proficient in using Dreamweaver CC to create a polished , media rich, optimized website. Finally, you will explore wireframing, RIA, AIR and mobile prototyping and how Fireworks allows you to design in multiple pages and even export standards compliant CSS. Adobe Flex 3 is a cross platform, open source framework for creating rich Internet applications and Adobe AIR applications. This in-depth training and its accompanying project work files will show you the evolution of rich internet application using Flex framework, plus how to build applications using the latest Flex Builder 3 tool that take the best capabilities of both the desktop and the web. This series a must-have for any developer looking to fine-tune their skills and enter the exciting new marketplace for developers. 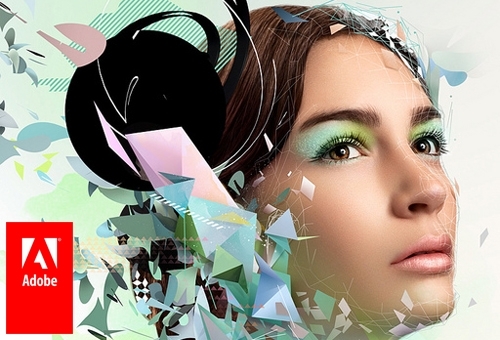 Adobe Illustrator Creative Cloud is the world’s best drawing program, and the best way to get up to speed and use it like an expert is with Total Training for Adobe Illustrator CC. After completing this course, you will know how to draw and format a wide variety of shapes and objects, how to bend, stretch, warp, combine and split objects, how to apply colors, patterns and gradients to fills and strokes, how to create special effects, how to use the new cloud-based features, and more. And you will learn a lot of tips and shortcuts to streamline your work. With Total Training for Adobe Muse, Adobe specialist Jeremy Goldberg will teach you how to build beautiful websites without writing any code. Instead of thinking about technology, simply focus on design by combining graphics, stunning typography, and rich interactivity. By the time you have completed watching this training series, you’ll know how to build a great website without writing any code and have all the skills you need to add graphics, beautiful typography and rich interactivity to your projects. You will also be able to create custom mobile designs and publish your website with just a few clicks. WordPress sites are inherently vulnerable and slow unless you do something proactive to prevent it. Using the essential tools and technologies described in this course will keep your WordPress site as safe and fast as any other type of website. The course covers almost all of the WordPress user interface. We learn by doing as we build out an actual website for a client of ours, explaining and demonstrating key concepts along the way, such as themes, plugins, widgets, images, and more. By the time you have finished this course, you will understand how to choose a theme and how to use the most popular themes available for WordPress to make your site look it’s best. Training for Adobe Photoshop CS5 Extended: Essentials is learning the way it needs to be; informative and engaging, with fast results. This series is ideal for the beginning user to learn the essentials of Photoshop, and to get up to speed on all of the major features of this powerful image editing software. You’ll learn by following along with professional photographer, author, image editor and teacher, Amadou Diallo, who uses Photoshop everyday in his profession. His real-world lessons, professional techniques, and time-saving tips are presented in a clear, concise manner and they will give you all the foundational knowledge you need to get exceptional results from your Photoshop projects. 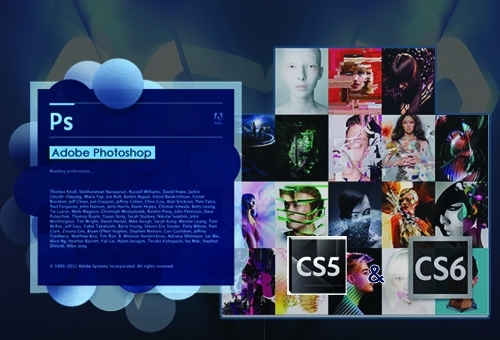 Beginning with creating artwork in Photoshop and Illustrator, you will use that artwork in print and on the web integrating InDesign, Flash, Fireworks, Dreamweaver and Flash Catalyst. Whether you are new to the Suite or a seasoned veteran, this series is chock full of insightful tips and real-world techniques that will appeal to everyone in the design field trying to make the most of their creative workflow.